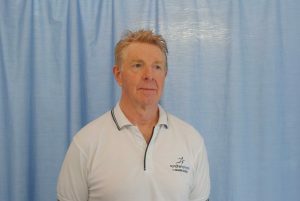 Russell Thompson is a Senior Physiotherapist and the Director of Wyndham Physio and Rehabilitation. He established the practice in 1983, and returned to full time study in 2001 to complete his Masters of Manipulative Therapy. He has been working in and around the Werribee area for over 30 years, having originally commenced his practice under the name of Cottrell St Physiotherapy at the premises at 90 Cottrell St, Werribee. Russell works with an experienced team to provide an integrated program based on knowledge of the anatomy, physiology and biomechanics. “Keeping you Active through life” relates to all phases of your life and all conditions whether they be age, sport, medical conditions, work or accident related. Russell is an authorised Occupational Physiotherapist for both TAC and WorkSafe clients, working closely with the agencies to maximise the best rehabilitation and injury management outcomes for his clients. Russell has extensive experience in a wide range of Musculoskeletal Conditions / Injuries including chronic pain and sporting injuries. This includes joint manipulation and mobilisation to reduce pain and stiffness, soft tissue mobilisation including massage and muscle re-education and strengthening to improve control. He also has a special interest and experience in upper limb and shoulder conditions and is a member of the Shoulder and Elbow Society of Australia. He works very closely with several Orthopaedic surgeons and Upper Limb Orthopaedic surgeons at The Avenue and Glenferrie Private Hospitals and promotes an integrated approach to rehabilitation and strengthening, both following surgery and as a conservative alternative. Russell has always had a keen interest in Sports Physiotherapy and has been involved at a senior level with Olympic Sports athletes and athletes in the AFL and also athletes on a local level. He was a consultant at the Geelong Football Club, and has spent over 10 years as the Senior Physiotherapist for the Werribee Football Club. He has a keen interest in Road Cycling and has been fortunate to have travelled to Europe to undertake many of the grueling rides completed by professional cyclists. He does specific Bike Setups for those riding on a regular basis to aid their riding technique to style and prevent pain and injuries due to the incorrect bike positioning.